What did we do for Merck? We developed an appealing web application promoting global health for the little-known African market following established brand identity and providing optimized performance. One of the core missions of Merck DORA is helping fight diabetes in African countries. 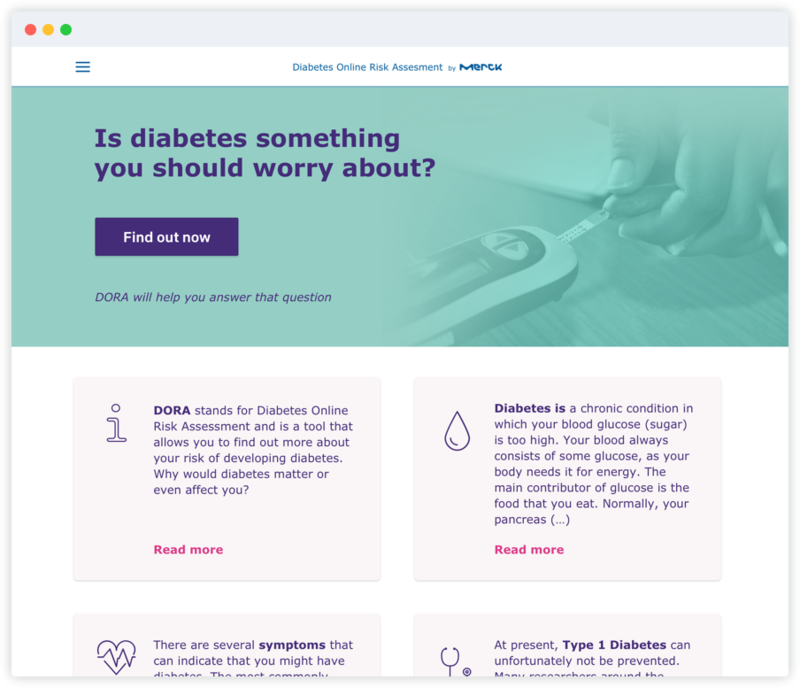 In pursuit of that mission, they approached us to overhaul their existing Web-based application, which promotes global health and helps identify diabetes-related problems. As we believe that access to quality healthcare is a fundamental human right, we were incredibly excited to be a part of such a project! Developing a lightweight application using Ruby on Rails and Vue.js that would work fine even with a slow internet connection. Creating a brand new interface using client guidelines. Making the app available in multiple language versions including Swahili and Amharic. Given the limited budget, we had to stay flexible at all times. To achieve that, we use Kanban in our everyday work - keeping us in constant conversation with the client. 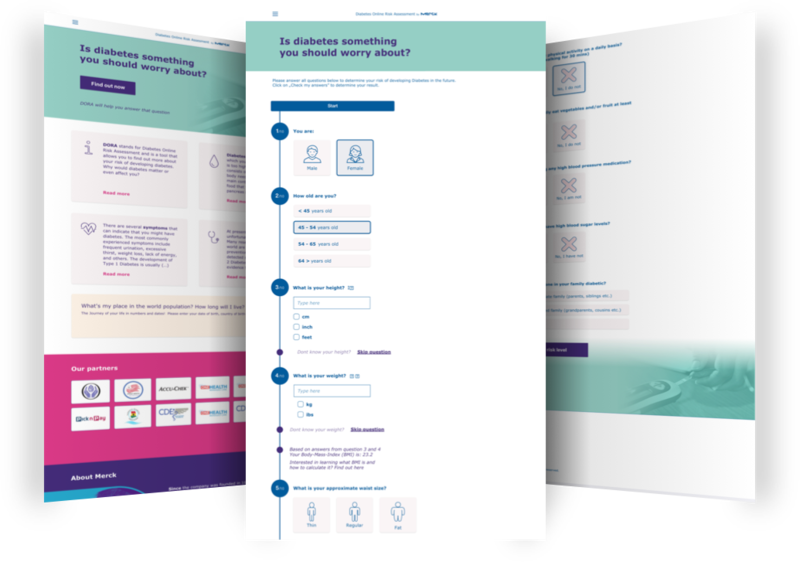 As we support Merck in their pursuit of their mission, we often help them optimize spending where possible, mostly by cutting down on the number of meetings and advising them on product management and their business plan. This is how we make it happen. Implementing a lightweight, redesigned version of the app working on mobile devices with diverse resolutions. Mobile app development and its release to app stores after 273 hours of work. We've been Merck's partner in their ambitious mission of bringing greater health awareness to African countries for nearly 3 years now. Projects like these remind us that our work can actually influence the world and make it a better place. It was a pleasure to work with them! When we started our efforts, Merck DORA was only available in Kenya. Currently, the application is available in eight more African countries in different language variants. 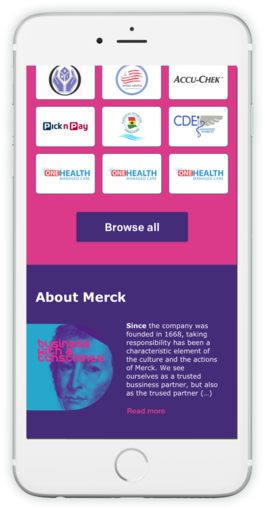 We delivered a redesigned, reworked, and optimized version of the app - the new version weights only 0.7 MB, closely follows the company's corporate identity, and has helped Merck secure new business partners - pharmacies in Africa - the company currently collaborates with 279 of them. Flexible approach to resource planning. Extensive research and intense testing to help us learn more about the client's needs and make data-driven decision. Improving UX and UI to deliver a product that would appeal to the target market. I was impressed by Monterail's services. Not only did they bring their technical expertise to the table, but they showed their sensitivity to the particular cultural context of this project by asking a lot of meaningful questions early on.